St. Sauveur — In 2013, Gehl together with an extensive local team of technical experts, won the international competition to lead the development and transformation of a former goods station in central Lille. The 57-acre site is to become a new neighborhood of 5,000 inhabitants, and a city district with work places, shops, education, and cultural and sports facilities. 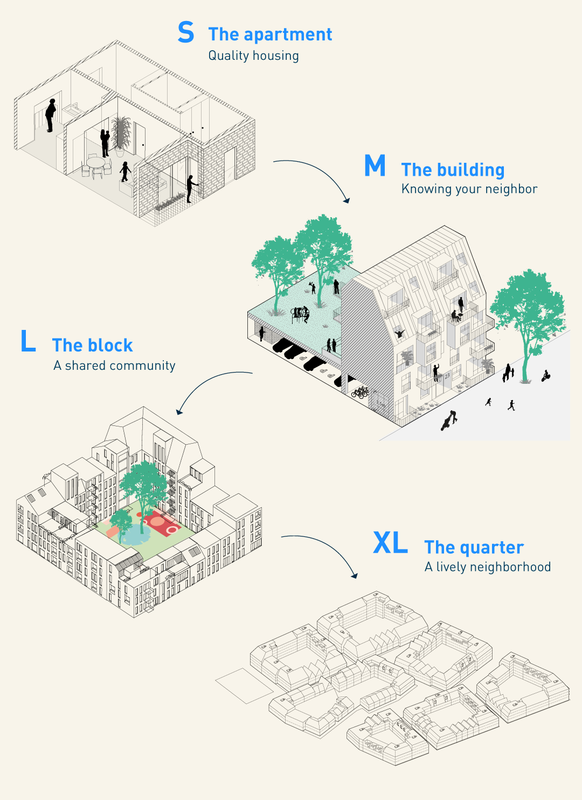 This project brings the Gehl approach to an already dynamic city by weaving a new piece of fabric into the city. 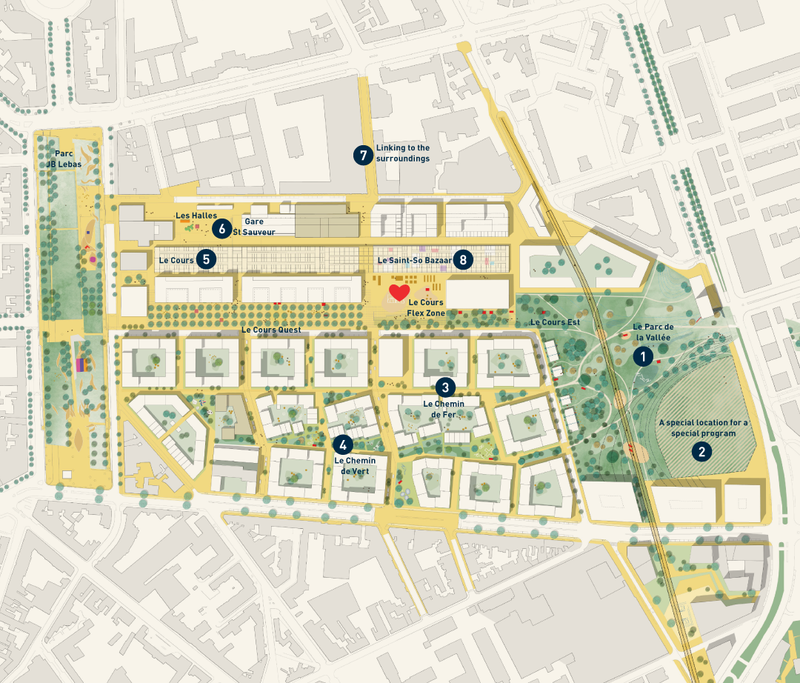 Gehl developed a robust Masterplanning Framework that takes into account its surroundings. 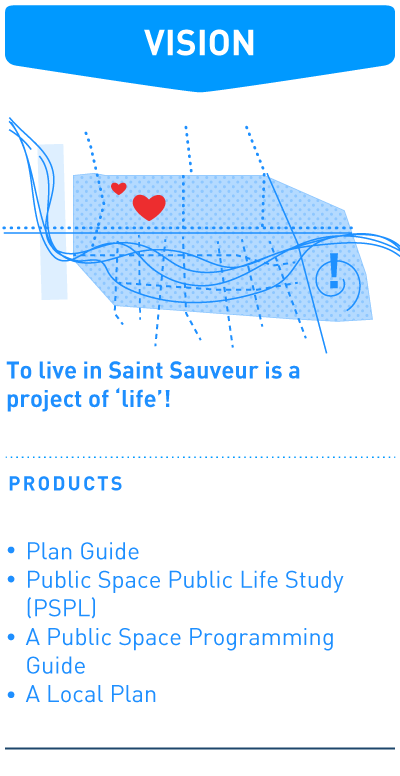 The goal of the project is to create a best practice example of excellent urban living conditions, and to provide quality housing and a joyful everyday life for its inhabitants and users. It is also to provide great public spaces with activities for all ages, as well as links to the surrounding neighborhoods that are different in character and meet varied demographic profiles. The plan envisions a neighborhood of perimeter blocks with private courtyards and vibrant public spaces with limited access for cars. An ecological corridor through the residential area connects a new lush park with the big tree axes in Lille. A park with existing vegetation, topography and post-rail industry in combination with programming for different age groups and levels of engagement. The park has evolved from an intimate garden to a future destination for leisure. 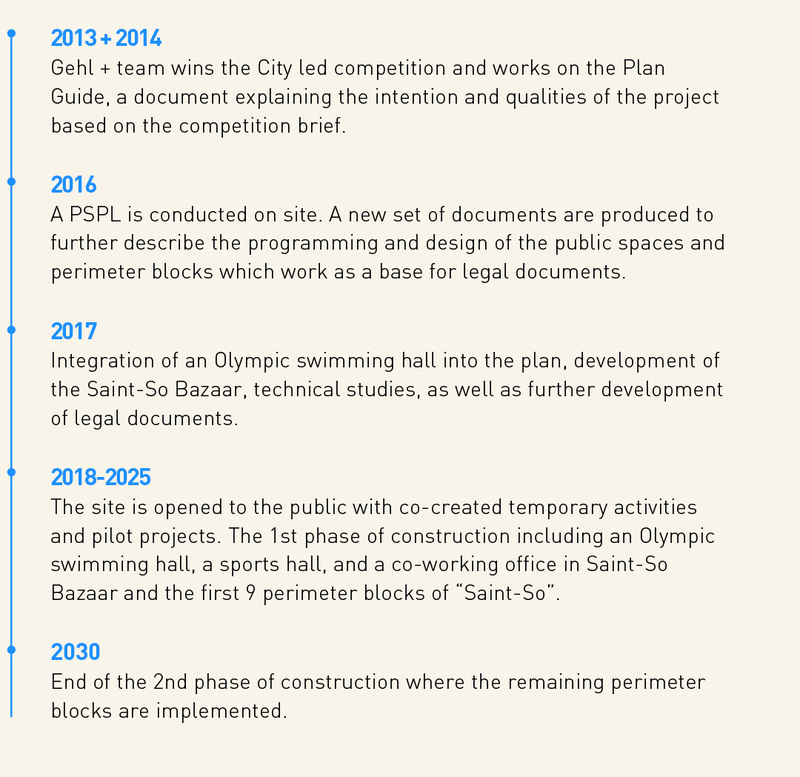 During the competition, the team reserved the southeast section of the site for future development due to its prominent address and location in Lille. In 2017, it was revealed as the new Olympic Swimming hall, making the district a regional destination. A series of office blocks meet the main street to the south and create a safe front entrance to the swimming hall as well as to the park. It is a pedestrian street that crosses the Nordic Isles from east to west. Complementary to the vegetative atmosphere of the Chemin Vert, the street offers a continuous mineral surface that invites informal play, like rollerblading, cycling, scooter, hop-scotch, etc. Artefacts of the rail yard and refitting of rail tracks are important markers for the identity of the street. The southern residential pedestrian path will become a link in the ecological corridors of Lille, connecting the rural landscape in the east with city green areas via the neighboring park and the Grand boulevards of Lille. The street will be the meeting point for play and recreation for residents. The highly active main square of Saint-So is designed to cater to different events and programs throughout the year. Principles of attracting and inviting different user groups based on seasonal and climatic constraints helps the space adapt to the wishes of users through a variety of programs and spaces in different scales. The development of the area around the historical train halls, begins with the existing life around the bistro and the cultural destination of La Gare Saint Sauveur. Connecting streets will be upgraded and better pedestrian conditions created to invite the surrounding neighborhoods to the new district and its public spaces. Starting as a proposal in the competition phase, the 4000m² existing train hall, will host spaces for co-working, manufacturing and design, allowing for new ways of producing and selling products in an urban context.